I’d noticed this _PAlbTn folder before but today as I am transferring pictures from the memory card to my computer makes me think of totally deleting them from my phone’s memory card. Thinking of deleting _PAlbTn and how to delete this hidden folder is already a pain as it appears on every folder created when you are taking pictures. 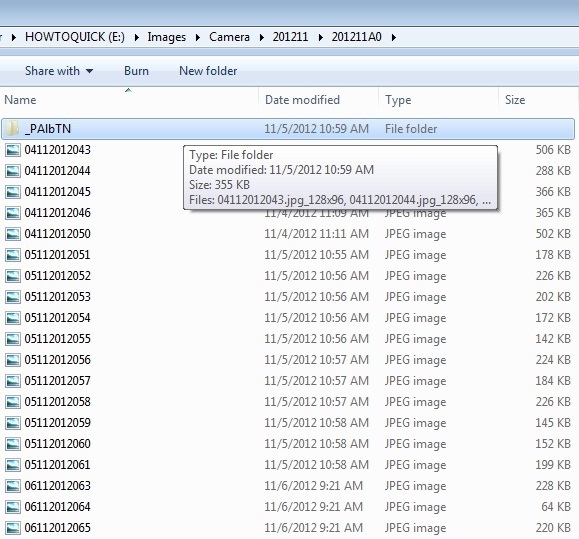 Each folder created monthly contains _PAlbTn folder that stores images cache on my memory card. What’s worst is when you delete this _PAlbTn folder it will automatically generates a new one every time you try to view a picture on your photo gallery. _PAlbTn folder is hidden by default. You can only see this folder on your computer if your folder option is set to display hidden files. _PAlbTn folder contains the same image that is stored on the folder directory. 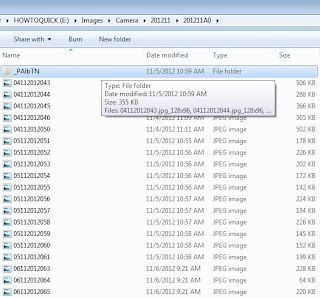 You _PAlbTn can use file explorer application (ex. X-plore, Fexplorer) to view the images located on _PAlbTn folder. Images on _PAlbTn are reduced pixels and in smaller size than the original one. These reduced size images helps accessing the original size images easier and faster when you are trying to view it on your phone gallery. How to delete or remove _PAlbTn folder? You can delete the folder manually anytime you want but do remember it generates automatically each time you view images on your phone gallery. I myself prefer not to delete this folder as it is not harmful and also this file is not a virus. If you really want to remove or delete _PAlbTn folder you may follow this simple workaround below. 1. Delete the _PAlbTn folder on the desired directory. 4. Remove the .txt extension on _PAlbTn.txt making it _PAlbTn now. 5. Click Ok then exit and you’re done! You may also read this post about Hard Reset Nokia 5800 5530 X6 Codes and Steps. Note: The text file still appear on the images directory where you change the _PAlbTn folder.